Do you know what is a light sensor? In applications such as lighting controls, heating ventilation and air conditioning controls or temperature controls system, there are times when you will need to adjust the control parameters based on the intensity of the ambient light. The measurement of the light intensity is thus become one of the important input that cannot be overlooked. Light intensity is measured using Lux or illumination. An estimate of the light intensity in our everyday life is described as below. The advancement of technology has enabled the accurate measurement of the intensity of light. 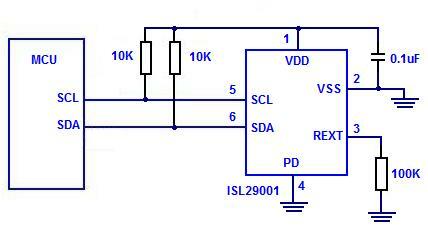 One such device is the sensor from Intersil ISL29001 that is easily interfaced to any microcontroller unit using I2C. If the microcontroller does not have any I2C pins, normal Input/Output pins can also be used. The extra effort needed is the additional programming code that you will have to do if you use the normal I/O pins. With this device, you will be able to measure the illumination of the light from 0.3 lux to 10,000 lux. The reading obtained from ISL29001 is in 15 bit digital format with a normal current consumption of less than 300 uA. A power down hardware pin is provided that will enable the MCU to further reduce the current consumption to less than 1uA when not in use. This power saving feature is one of the most critical consideration that you will have to made if your design gets its power from a battery source. ROHS compliant. All products exported to Europe have to be ROHS compliant. 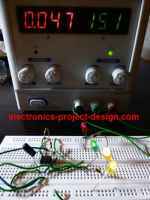 2.5V to 3.3V DC power supply. OPTICAL DUAL FLAT NO-LEAD (ODFN) PLASTIC PACKAGE with a small dimension of 2.1mm X 2.0mm that does not take a lot of space on the printed circuit board. 50/60 Hz and IR signals rejection that help to provide accurate readings.